Director-producer Rajkumar Hirani is accused of sexual harassment by an assistant director. 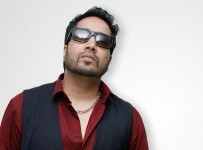 The alleged incident happened while working on his last big hit ‘Sanju’. As the allegations shocked the industry, the ‘3 Idiots’ filmmaker has denied it vehemently with an official statement, “I was completely shocked when these allegations were brought to my notice about two months back. I had suggested immediately that it is essential to take this matter to any committee or any legal body. The complainant has chosen to go to the media instead. I want to very strongly state that this is a false, malicious and mischievous story being spread with the sole intention of destroying my reputation.” Rumors suggest that these allegations have led to Hirani’s name being dropped as co-producer from ‘Ek Ladki Ko Dekha Toh Aisa Laga’.